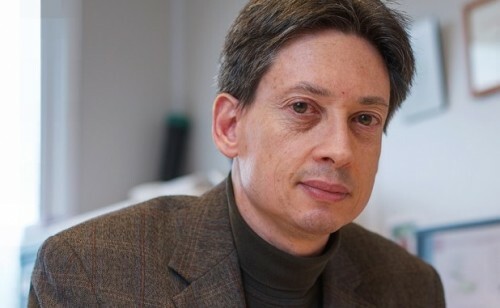 On May 27th ORCA’s CSO Victor van Beusechem will give his inaugural lecture and thereby accepts his position as Professor of Applied Molecular Oncology at the VU University. In the inaugural lecture Victor will share his view how to shift the horizon of our current knowledge of cancer to reach the El Dorado of a more effective treatment of cancer. His approach is to follow two paths, one directed against specific targets in cancer cells and one directed against a hallmark of cancer. In the first strategy, he applies functional genetic screening technologies to discriminate between relevant and irrelevant mutations in cancer cells and to identify genetic targets for personalized treatment. In the second strategy, he applies molecular knowledge of cancer and viruses to develop a new class of medicines, so called oncolytic adenoviruses. These viruses replicate in and kill cancer cells selectively and induce an immune response against the tumor. The final goal of this applied research is to make new, more effective medicines available for treatment of patients. Victor van Beusechem and his research team take up the gage to bring this goal within reach, thereby improving the prospects for future cancer patients and their loved ones. ORCA Therapeutics BV is a biopharmaceutical company developing a pipeline of innovative anticancer therapies based on the highly promising approach of engineered oncolytic adenoviruses. ORCA Therapeutics is currently preparing its lead product ORCA-010 for testing in clinical trials.